0.18Kw 1Ph/3Ph 230V In/Out - GS1 AC micro drive, 0.25 hp, 230V, single/three-phase input, three-phase output, V/F (volts per hertz) control mode. Manual included with product. 0.37Kw 1Ph/3Ph 230V In/Out - GS1 AC micro drive, 0.5 hp, 230V, single/three-phase input, three-phase output, V/F (volts per hertz) control mode. Manual included with product. 0.75Kw 1Ph/3Ph 230V In/Out - GS1 AC micro drive, 1.0 hp, 230V, single/three-phase input, three-phase output, V/F (volts per hertz) control mode. Manual included with product. .37Kw VSD 1/3 Ph 230V In/Out - GS2 AC micro drive, 0.5 hp, 230V, single/three-phase input, three-phase output, V/F (volts per hertz) control mode. Manual included with product. 0.75 Kw 1Ph/3Ph 230V In/Out - GS2 AC micro drive, 1.0 hp, 230V, single/three-phase input, three-phase output, V/F (volts per hertz) control mode. Manual included with product. 1.5 Kw 1Ph/3Ph 230V In/Out - GS2 AC micro drive, 2.0 hp, 230V, single/three-phase input, three-phase output, V/F (volts per hertz) control mode. Manual included with product. 2.2 Kw 1Ph /3Ph 230V In/Out - GS2 AC micro drive, 3.0 hp, 230V, single/three-phase input, three-phase output, V/F (volts per hertz) control mode. Manual included with product. .75Kw VSD 3ph 460V In/Out - GS2 AC micro drive, 1.0 hp, 460V, three-phase input, three-phase output, V/F (volts per hertz) control mode. Manual included with product. 1.5Kw VSD 3ph 460V In/Out - GS2 AC micro drive, 2.0 hp, 460V, three-phase input, three-phase output, V/F (volts per hertz) control mode. Manual included with product. 2.2Kw VSD 3ph 460V In/Out - GS2 AC micro drive, 3.0 hp, 460V, three-phase input, three-phase output, V/F (volts per hertz) control mode. Manual included with product. 3.7Kw VSD 3ph 460V In/Out - GS2 AC micro drive, 5.0 hp, 460V, three-phase input, three-phase output, V/F (volts per hertz) control mode. Manual included with product. 5.5Kw VSD 3ph 460V In/Out - GS2 AC micro drive, 7.5 hp, 460V, three-phase input, three-phase output, V/F (volts per hertz) control mode. Manual included with product. 7.5Kw VSD 3ph 460V In/Out - GS2 AC micro drive, 10 hp, 460V, three-phase input, three-phase output, V/F (volts per hertz) control mode. Manual included with product. .75Kw 480V 3Ph VSD - DURApulse AC drive, 1.0 hp, 460V, three-phase, sensorless vector or V/F (volts per hertz) control modes. Manual included with product. 1.5Kw 480V 3Ph VSD - DURApulse AC drive, 2.0 hp, 460V, three-phase, sensorless vector or V/F (volts per hertz) control modes. Manual included with product. 2.2Kw 480V 3Ph VSD - DURApulse AC drive, 3.0 hp, 460V, three-phase, sensorless vector or V/F (volts per hertz) control modes. Manual included with product. 3.7Kw 480V 3Ph VSD - DURApulse AC drive, 5.0 hp, 460V, three-phase, sensorless vector or V/F (volts per hertz) control modes. Manual included with product. 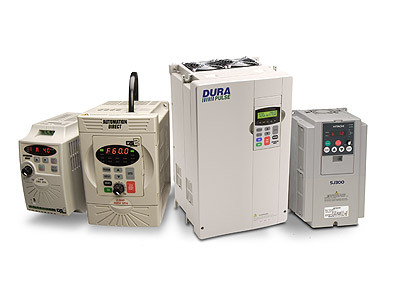 5.5Kw 480V 3Ph VSD - DURApulse AC drive, 7.5 hp, 460V, three-phase, sensorless vector or V/F (volts per hertz) control modes. Manual included with product. 7.5Kw 480V 3Ph VSD - DURApulse AC drive, 10 hp, 460V, three-phase, sensorless vector or V/F (volts per hertz) control modes. Manual included with product. 11.0Kw 480V 3Ph VSD - DURApulse AC drive, 15 hp, 460V, three-phase, sensorless vector or V/F (volts per hertz) control modes. Manual included with product. 15.0Kw 480V 3Ph VSD - DURApulse AC drive, 20 hp, 460V, three-phase, sensorless vector or V/F (volts per hertz) control modes. Manual included with product. 18.5Kw 480V 3Ph VSD - DURApulse AC drive, 25 hp, 460V, three-phase, sensorless vector or V/F (volts per hertz) control modes. Manual included with product. 22.0Kw 480V 3Ph VSD - DURApulse AC drive, 30 hp, 460V, three-phase, sensorless vector or V/F (volts per hertz) control modes. Manual included with product. 30.0Kw 480V 3Ph VSD - DURApulse AC drive, 40 hp, 460V, three-phase, sensorless vector or V/F (volts per hertz) control modes. Manual included with product. 37.0Kw 480V 3Ph VSD - DURApulse AC drive, 50 hp, 460V, three-phase, sensorless vector or V/F (volts per hertz) control modes. Manual included with product. 45.0Kw 480V 3Ph VSD - DURApulse AC drive, 60 hp, 460V, three-phase, sensorless vector or V/F (volts per hertz) control modes. Manual included with product. 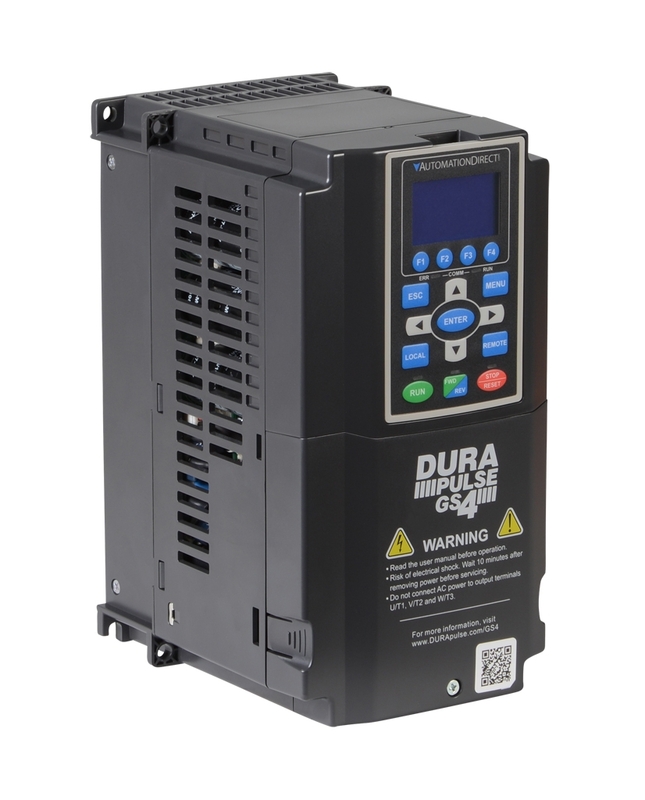 55.0Kw 480V 3Ph VSD - DURApulse AC drive, 75 hp, 460V, three-phase, sensorless vector or V/F (volts per hertz) control modes. Manual included with product. 75.0Kw 480V 3Ph VSD - DURApulse AC drive, 100 hp, 460V, three-phase, sensorless vector or V/F (volts per hertz) control modes. Manual included with product. Brake Resistor GS2/3-42PO - Braking resistor, for use with GS2/GS3-42P0, GS2-51P0/52P0/53P0/55P0/57P5 AC drives, 300 watt, 400 ohm. GS2-53P0/55P0/57P5 require 2 braking resistors. B/Resistor GS2/3-4010 GS2-5010 - Braking resistor, for use with GS2/GS3-4010, GS2-5010 AC drives, 1000 watt, 75 ohm. GS2-5010 requires 2 braking resistors. Brake Res Encl GS3-2020 - Braking resistor, for use with GS3-2020 AC drive, 3000 watt, 10 ohm, NEMA 1 enclosure with built-in temperature sensor. Requires external braking unit GS-2DBU. Brake Res Encl GS3-2025 - Braking resistor, for use with GS3-2025 AC drive, 4800 watt, 8 ohm, NEMA 1 enclosure with built-in temperature sensor. Requires external braking unit GS-2DBU. Brake Res Encl GS3-2030 - Braking resistor, for use with GS3-2030 AC drive, 4800 watt, 6.8 ohm, NEMA 1 enclosure with built-in temperature sensor. Requires external braking unit GS-2DBU. Brake Res Encl GS3-4020 - Braking resistor, for use with GS3-4020 AC drive, 1500 watt, 40 ohm, NEMA 1 enclosure with built-in temperature sensor. Requires external braking unit GS-4DBU. Brake Res Encl GS3-4025 - Braking resistor, for use with GS3-4025 AC drive, 4800 watt, 32 ohm, NEMA 1 enclosure with built-in temperature sensor. Requires external braking unit GS-4DBU. Brake Res Encl GS3-4030 - Braking resistor, for use with GS3-4030 AC drive, 4800 watt, 27.2 ohm, NEMA 1 enclosure with built-in temperature sensor. Requires external braking unit GS-4DBU. Brake Res Encl GS3-4040 - Braking resistor, for use with GS3-4040 AC drive, 6000 watt, 20 ohm, NEMA 1 enclosure with built-in temperature sensor. Requires external braking unit GS-4DBU. Brake Res Encl GS3-4050 - Braking resistor, for use with GS3-4050 AC drive, 9600 watt, 16 ohm, NEMA 1 enclosure with built-in temperature sensor. Requires external braking unit GS-4DBU. Brake Res Encl GS3-4060 - Braking resistor, for use with GS3-4060 AC drive, 9600 watt, 13.6 ohm, NEMA 1 enclosure with built-in temperature sensor. Requires external braking unit GS-4DBU. Dynamic Braking unit 230 VAC - Dynamic braking unit, 230 VAC, for use with GS3 (DuraPulse) drives only. Purchase dynamic braking resistors separately. Dynamic braking unit 480 VAC - Dynamic braking unit, 460 VAC, for use with GS3 (DuraPulse) drives only. Purchase dynamic braking resistors separately. Input EMI filters reduce electromagnetic interference or noise on the input side of the AC drive. They are required for CE compliance and recommended for installations prone to or sensitive to electromagnetic interference. RF filters reduce the radio frequency interference or noise on the input or output side of the inverter.